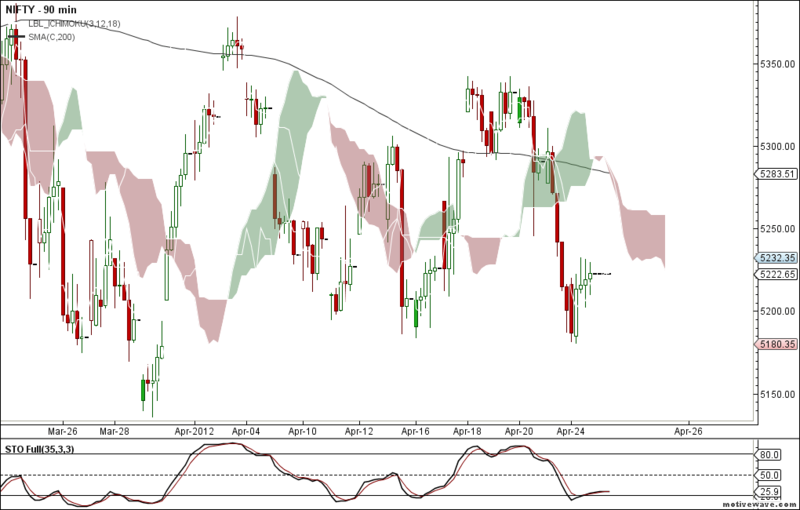 Nifty and Bank Nifty are in sell mode since this monday. 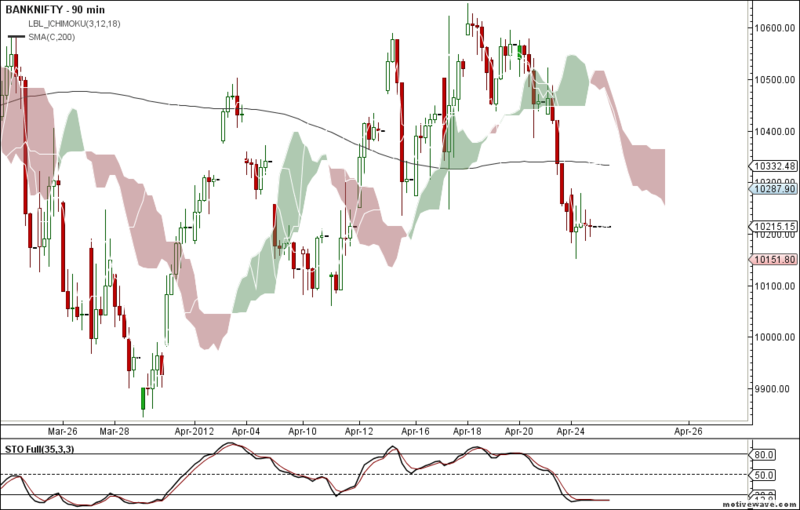 And for todays trade we are concerned with the intermediate resistance zone 200MA and not much with ichimoku cloud resistance. Currently the intermediate resistance comes near 5283 and 10333 respectively. Reverse your positions to longs only if the intermediate resistance breaks.